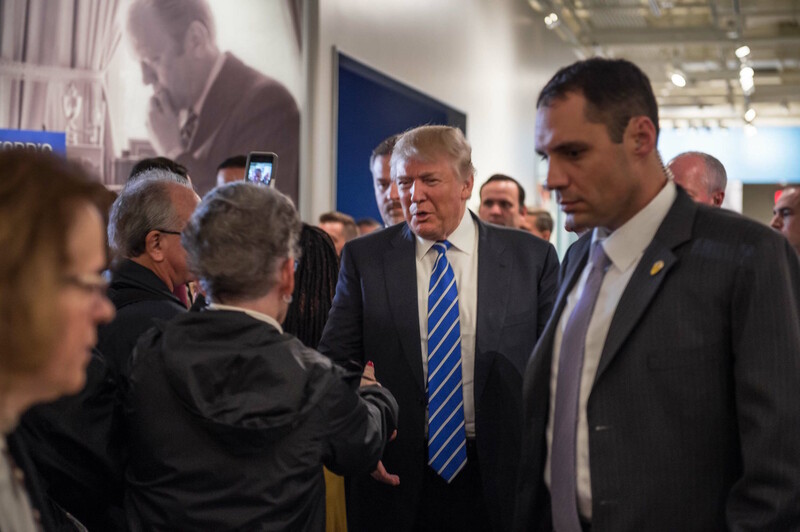 2016 Republican Presidential Nominee Donald Trump and former Mayor of New York City Rudy Giuliani visited Grand Rapids, Michigan on September 30, 2016 and toured the Gerald R. Ford Presidential Museum. 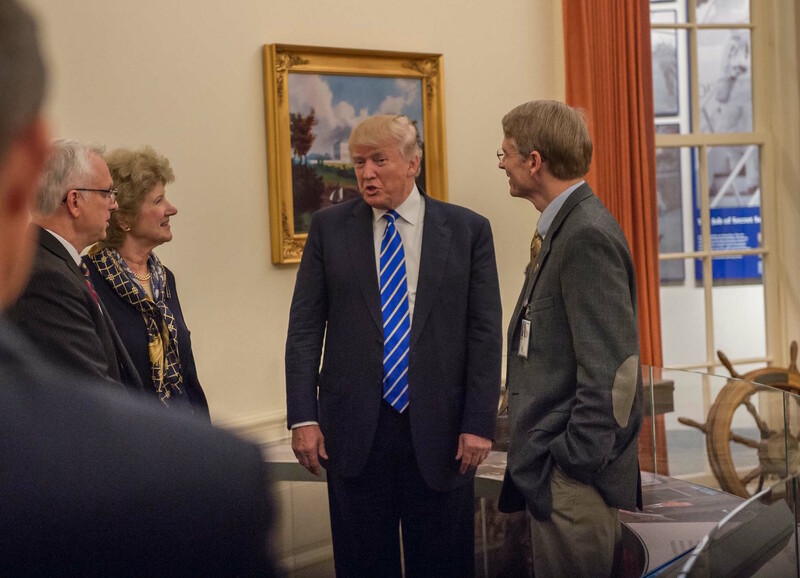 The visit coincided with the Museum’s hosting of ArtPrize. 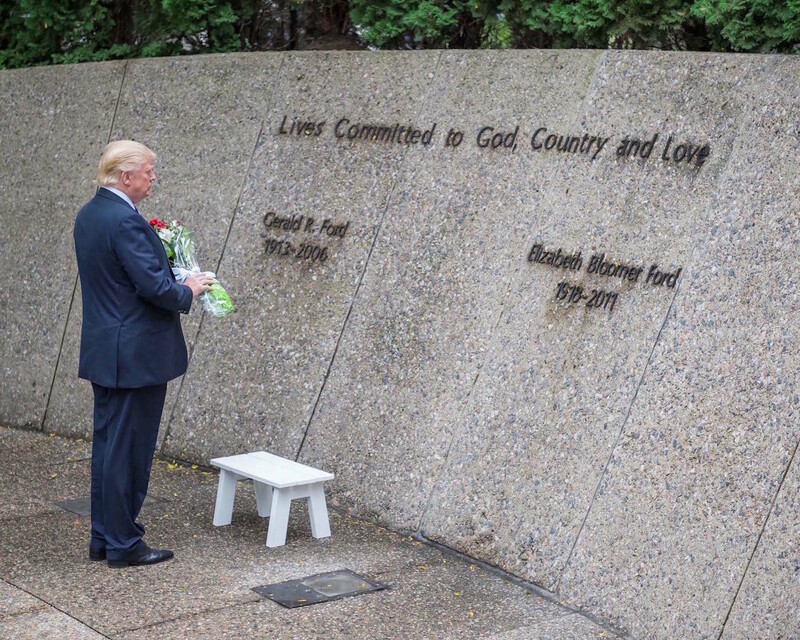 Trump also paid respect at the Tomb of President and Mrs. Gerald R. Ford. 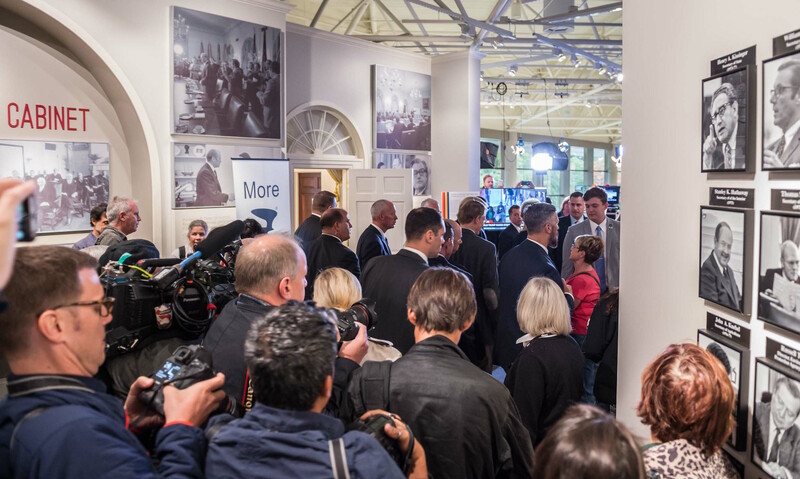 Trump and Giuliani also interviewed with WZZM 13 Grand Rapids reporter Jennifer Pascua at WZZM’s ArtPrize set at the Museum. 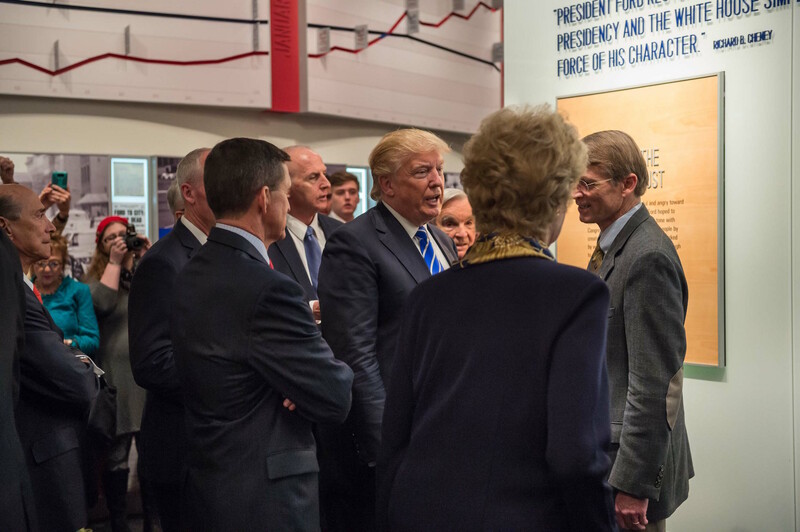 Donald Trump toured the Museum with Foundation Executive Director Joseph, Library & Museum Director Elaine Didier, and Museum Curator Don Holloway. 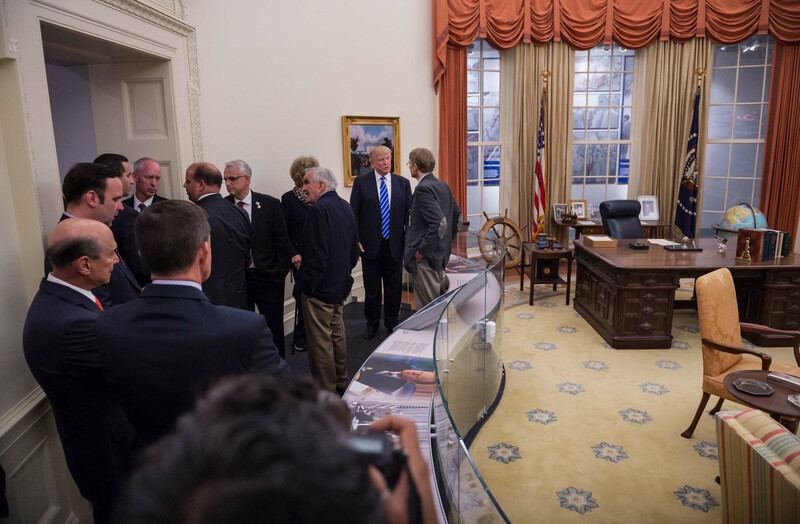 Trump also spoke with Foundation Chairman Emeritus Marty Allen as he departed the Tomb of President and Mrs. Gerald R. Ford.